All over the world, Pokemon Go stole our hearts (and our data). 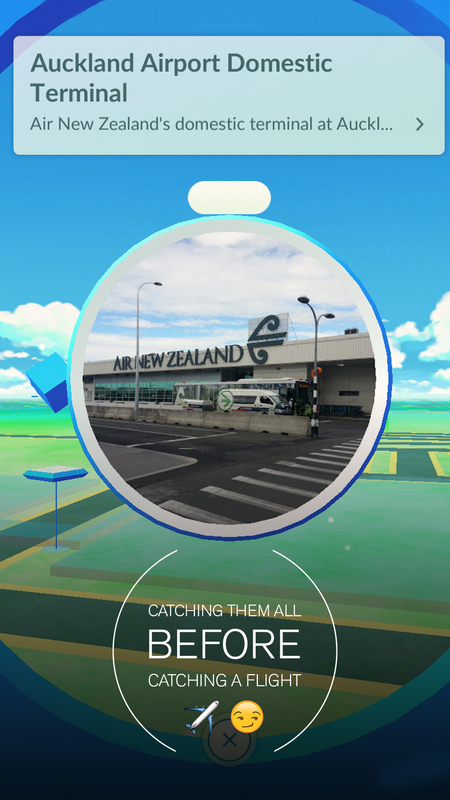 But while Pikachu hunters everywhere were skiving off work to catch ‘em all, Air New Zealand captured the craze on Snapchat. Leading with a simple CTA and following through with some classic content, AirNZ’s Snapchat story had us almost as hooked as the game itself. 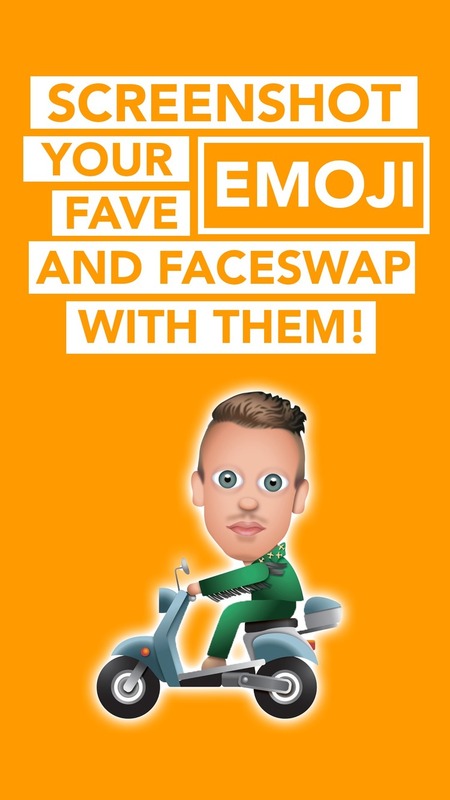 For Macklemore & Ryan Lewis’ upcoming NZ tour, Spark created emoji versions of the duo. They invited their Snapchat audience to face-swap with their favourite for the chance to win a face-to-face or concert tickets. 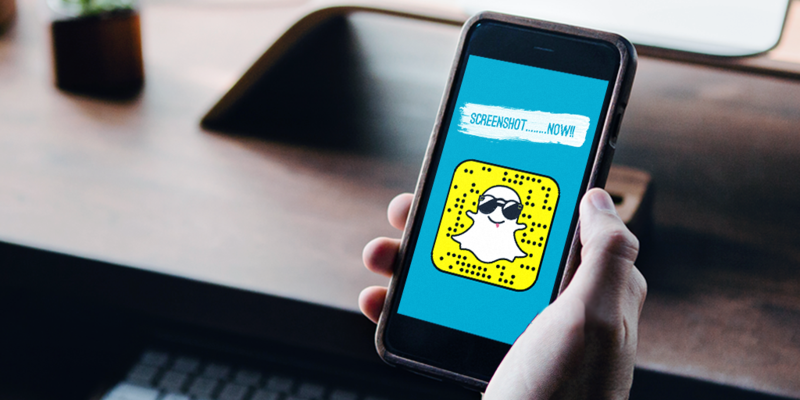 The week long campaign put a creative twist on two central features of Snapchat, encouraging engagement and creative UGC. 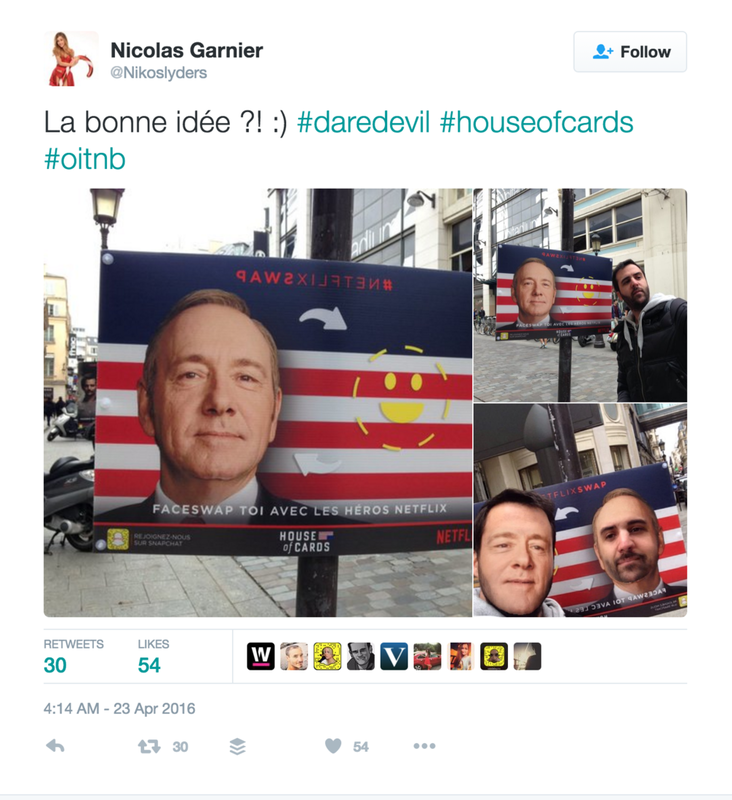 A couple of months back we spotted this great outdoor ad for Netflix’s House of Cards launch. They placed billboards at pedestrian height, and challenged passersby to use Snapchat’s live face-swap filter to transform into the series’ notorious character, Frank Underwood. Simple, clever and fun. Read the full piece from AdWeek here.